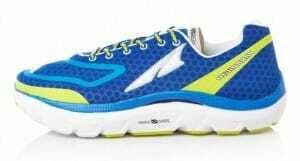 At Northern Runner we have written the odd Altra Zero Drop running shoe review. 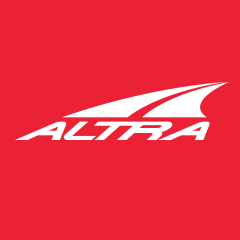 However, this time we’ve asked one of our team members Ian to write a piece on how someone who is used to a 12 mm heel drop transitions to the Zero Drop trademarked technology from Altra. I am a real heel striker and have been so for all my running years. Recently I have taken on board a lot of coaching experience and I often try to practice what I preach, namely in the field of running efficiency. So to stop braking with each stride i.e. that heel strike is important to me. I typically slammed my heel down and as a result needed huge amounts of additional energy to “push” myself over the hill of each and every stride. I would like to have a much easier, more efficient run. Back to shoes. I’m used to Brooks Glycerin/Ghost, Mizuno Wave Enigma/Rider. All great shoes but with a traditional “high heel” i.e. the heel is somewhat higher (around 12 mm) than the forefoot. I have done all my marathons and ultras in this type of running shoe, that’s almost fifty marathons! The great idea then (!) was to buy a shoe that would encourage me to foot strike further forward (more onto the mid foot) thus being far more efficient with each stride. The Altra Paradigm is a shoe from the range which lends itself to those like myself with a hard, aggressive heel strike wanting to; experience the Altra range and as such try a much lower heel and be encouraged to land on my mid foot. Its a well cushioned road running shoe, which makes it the ideal choice for me. The exceptionally broad toe box gives me lots of room for movement and is unique to Altra. That was ideal for me (and my bunions)! Most people don’t realise how restricted their foot and toe box can be in a shoe which has more of a standard or narrow shape. The shoe testing routine follows a lot of the standard advice that we give in the shop to customers initially. After getting properly fitted in store and trying them in our corridor, I wore them for about three hours that night around the house. My first impression was that it’s a very comfortable shoe; the toe box really lets your foot spread which is how it should be. The next day I wore the shoe again indoors for over half a day. All still felt good. Sizing wise I went for half a size longer than my other road shoes, getting a thumbs width at the end of the shoe between my longest toe and the end of the shoe. This would allow plenty of room for expansion on any length of run. No black toe nails or blisters here! First run out was with my coached walk / run group at the running club. I initially noticed that I was bolt upright on my toes like a sprinter. However after a few moments I was experimenting with how low I could drop my heel without slapping my foot down. Total distance was three miles of walk/run. Second run was at our efforts session a few days later, and now I seemed to be getting an easier foot strike was not so ‘bolt upright’ on my toes.. nor was I slapping the ground as much! The shoe itself has lots of cushioning and it really does feel very comfortable. The effort session went well. My calf’s were tired though, I did expect that, but it did ease considerably soon afterwards. In the meantime I was using a pair of different shoes with a 10 – 12 mm heel height for other runs. So changing from a higher heel to a zero drop was being done gradually. Long runs were being done with the higher heeled shoes. My third run in the Atlras was a fairly brisk seven mile run. Running now I seemed to be getting far more used to striking my foot at an acceptable point on my foot. Not on my toes, nor my heel. Felt good. Cavles: not as tired or tight. Again I mixed up runs with my other shoes. Fourth run was going to be, in my eyes, the most interesting to date. It was twelve miles, again on roads (that’s pretty standard for me). Conditions could be considered ‘lumpy’, not flat and a mix of tarmac and concrete. I really started to get into the foot strike onto the mid ball of my foot, it felt highly cushioned and so roomy on the toe box. Finished the run, feet and calf’s felt OK. I suspect as I do a lot of running in a few different shoes my calf’s will be a bit more robust than some, so do expect some tightness for a day or so, in the first few runs certainly. Again other runs are still with my other shoes. Fifth run. Back to efforts. Warm up with slow walk, brisk walk, slow jog, easy drills then dynamic drills. A solid warm up. Session was 20 x 30 s efforts followed by a cool down jog back to the club base and then stretching out the lower legs. Sixth run was the next day. Ten miles easy pace. Now I was landing with a good foot strike, not too much on my toes and no where near the heel strike I was doing. I do like the great toe box idea by Altra, lots of room, plenty of cushioning too gives a nice feel. I went back two days later to my other shoes and it was very strange! It just didn’t feel how it used too, certainly not how it was feeling a while before hand. Overall it’s gone great, I like the principle of efficiency so a shoe type to help me do that better is ideal. Plenty of cushioning for my long miles is important to me too. The toe box is ideal, plenty of room and your toes can spread out. That’s how it should be. Next road marathon could be Windermere (Brathay), which is where the Altra Paradigm will be getting their marathon debut! Get sized up with a specialist and take a short test run if possible. Use them around the house for a good few hours before going running. Take shorter runs initially and ensure you use your regular shoes on other runs, especially any usual longer ones. Build up to the longer runs but take it easy (expect your calves to tire differently).